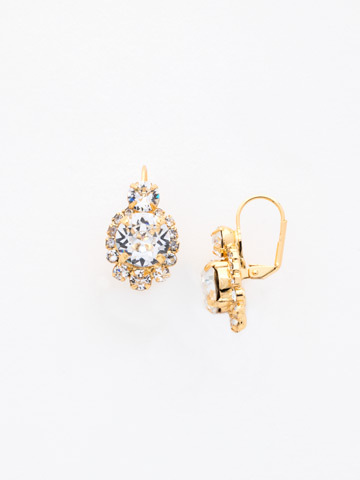 Round crystals are the backbone of these twinkling treasures. A large round stone in the center is covered in smaller gems, adding to the earring's sparkle factor. The French wire backing allows for shimmering movement.